Welcome to "Give it up for Health" and thank you for visiting. My name is John Corney. "Give It Up for Health" is my effort to educate and encourage anyone willing to take personal responsibility for their health in the area of modern "lifestyle" diseases that result from the "standard American diet", a diet high in animal protein, processed carbohydrates and fat, and which extends far beyond American shores. It is about how we can achieve good health through what we choose to eat and drink. I called this site "Give it up for Health" because when I was finally honest with myself, my own experience with a "lifestyle health issue", high cholesterol, was only possible to reverse without taking drugs by admitting to the role of diet in my condition, and finally giving up foods that contained cholesterol. Once I did that, Hey Presto!, I no longer had high cholesterol. Many people who consume the "standard American diet", no matter where they are in the world, end up with lifestyle health issues such as: obesity, type-2 diabetes, high blood pressure, high cholesterol, heart disease, and stroke. Much research also indicates that many cancers also have a basis in poor nutrition. As mentioned above, a few years ago I was on the road to bad health myself. In 2009 I weighed 155 lb (70kg). My total cholesterol was 263 (6.8 mmol/L), my LDL was 188 (4.9). My BMI was 23.6. My doctors for years had been urging me to start taking a statin drug such as "Lipitor" for my cholesterol, which I was reluctant to do. However, in November of 2012 I decided once and for all to take responsibility for my health, and per chance happened to hear about Dr. Joel Fuhrman's book "Eat to Live". 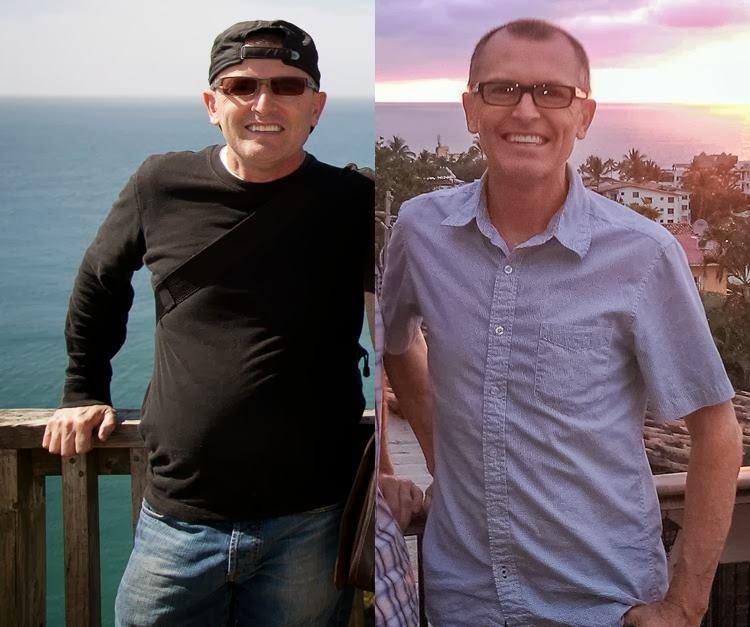 After reading the book I adopted his "nutritarian" whole-food, plant-based diet, and today I weigh around 125lb (56.5kg). My last cholesterol test was 163 total cholesterol (4.2) and 111 LDL (2.9). My BMI today is 19, about as good as it can get. Today, I feel energetic and healthy. When I weighed 155lb, I tell you it was an effort for me to climb the stairs at home or to pick something up from the floor! I often felt very fatigued and "heavy". Yet according to my BMI, I would still not have been classified as overweight. I hate to think what it would have felt like had I not changed my diet. If any of this sounds like you, or your situation is even worse, and you are obese and suffering type-2 diabetes or heart disease, or some other "lifestyle disease", you too can reverse it all by changing what you eat. This site is called "give it up for health" because the fact is, if we are to avoid or resolve these modern health issues that are related to eating the current standard Western diet, then we just have to face that fact that we are going to have to give it up. Much research shows that what we have to give up are animal protein, processed carbs, and fats. So, that's what I'm here for: to share my experiences and the knowledge of the "whole-food plant-based" diet that I have gained through my own personal experience. I also have read widely on the subject, and continue to do so every day. I will share what I know and learn with you. I will also share many recipes from people who are expert in coming up with delicious plant-based food to help you adapt to a plant-based lifestyle. Other than its obvious meaning, "give it up for health" can also mean giving health a big round of applause . By taking responsibility for our nutrition we are in effect are putting our hands together and "giving it up for health" Three cheers for health! By taking personal responsibility for good nutrition, we can choose to stack the deck in favor of living a long life in good health. The alternative is a shortened life, and one with a great loss of quality of life, plagued with predictable health issues. By choosing a nutritious whole-food plant-based diet, we are stacking the odds in favor of dying of old age or die rather than some preventable disease. The choice is ours. You can do it! The choice is yours! Join me in "giving it up for health".